As the readers of our former articles have seen, shipping containers have others ways of use besides logistics. Containers are not only convenient in student housing, hotel industry, affordable housing and retail, they also work as nice swimming pools. A traditional swimming pool’s installation costs might be between US$6000 and $50,000 not to mention excavation and decking costs. A shipping container, on the other hand, can be purchased with approximately $2000. The additional costs consists of making the pool water proof by lining the interior with a water-proof lining or welding and painting the interior. Also, regular pool filters, pumps and fixtures should be fitted to the container as well. Shipping container pools have attracted crowd in many public events. 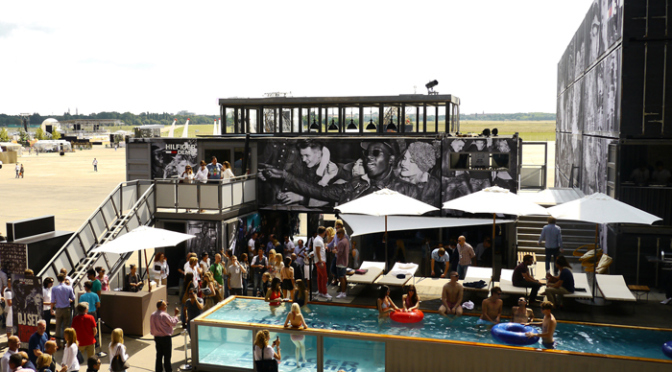 For instance the fashion brand Tommy Hilfiger introduced a container swimming pool in Berlin’s Bread and Butter fashion trade show in 2011. Also the city of New York has arranged some container pool parties in Manhattan.